MDCS warehousing facility is secure and staffed by an experienced team to meet your Order Fulfillment needs in Connecticut and the surrounding region. Customer transactions get processed and shipped the same day for a fast and efficient turnaround. Our Order Fulfillment Center provides a great way to grow your business while further reducing costs and improving operational efficiencies. Imagine having your inventory stored off-site, ultimately reducing your square foot costs. Perhaps you want to carry a larger product line that offers greater variety? 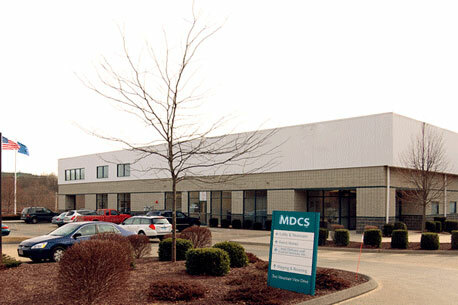 The MDCS Fulfillment Center is equipped to meet your needs. MDCS adheres to specific procedures to ensure all aspects of the fulfillment and warehouse process are quick, accurate, and efficient. Each transaction picked is scanned using bar code technology to guarantee accuracy before it gets packaged and shipped. To better accommodate your fulfillment needs, MDCS partners with the shipping carriers of your choice, including FedEx, UPS, USPS or DHL. Whether MDCS is shipping a small package to a customer or pallets to a retailer, you can count on us to get the order out quickly, accurately, and efficiently. Mail Delivery & Courier Service is your one source for all your warehousing and fulfillment needs. Please call or contact us today to determine how MDCS can best tailor its services to meet your warehousing and/or fulfillment needs. Our secure warehouse in Connecticut provides customers with a convenient, affordable option to traditional storage methods. Storing your company's products at our CT warehouse allows you to cut one more stage out of your shipping process, as we can handle all your product shipments and deliveries. All orders that flow through our Connecticut fulfillment center are processed quickly and efficiently, ensuring a fast delivery time for your company. By using our Connecticut fulfillment center as your storage facility, you can easily take advantage of our relationships with other major shipping carriers, such as FedEx, UPS, USPS and DHL. To find out more about our warehouse facility in Connecticut, you can contact us.